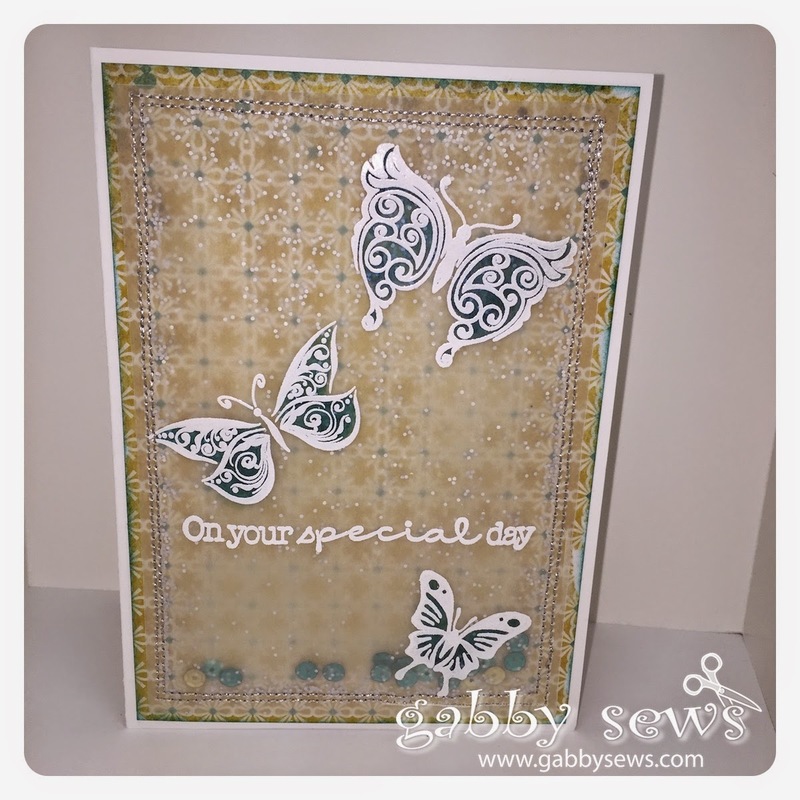 I saw this amazing tutorial from Jennifer McGuire on using vellum to create a shaker card. It took me a little while to pull this together but that is because I was learning (aka screwing up) as I was going along. 1. You can barely see glitter behind vellum so save yourself some frustration and just don't use it! 2. Don't use a really small stitch on your sewing machine because it will just end up tearing the vellum apart. 3. Go really slow when you are using metallic thread in your sewing machine - I must have broken the thread at least six times before I figured that out (I'm a slow learner). 4. Don't use washi tape to hold down your edges. When I took it off it tore some of the pattern paper up as well. Next time I will use the blue painter's tape and I will test it first! 5. Use the flattest shaker stuff you can find - the sequins I have in my stash have the slightest cup to them and they don't move very freely behind the vellum. They will work great with a different type of shaker but not one that lies as flat as this. They still move but not like I would like them to.